HANCEVILLE – A memorial ride for Brittney Daugherty was held Saturday to help raise money for her family. Brittney was just 22 years old when she passed away in July from cardiac arrest. 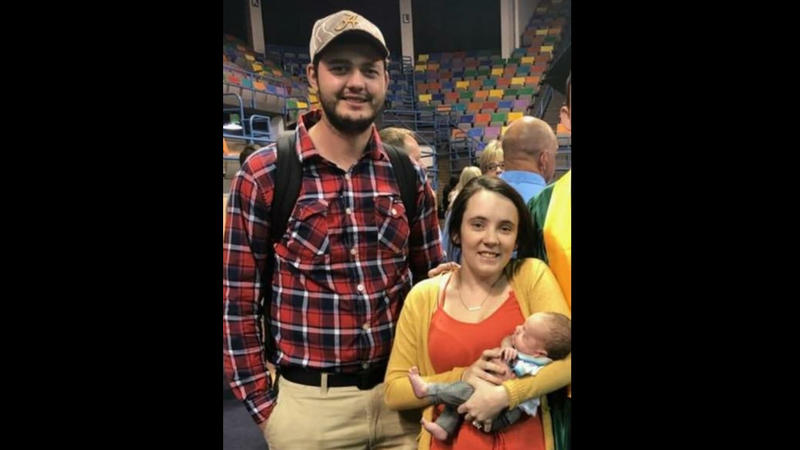 Married just a year, Dylan and Brittney Daugherty welcomed their son Mason just two months prior to her death. Dylan is a volunteer fire fighter for Dallas-Selfville Fire and Rescue. Brittney was a first responder with the department. The young couple attended many training classes in Hanceville and built strong friendships with many at Hanceville Fire and Rescue. Saturday’s memorial ride was organized by the Blount County Regulators Motorcycle Club. Maurice “Pops” Cooper is the president of the Regulators is a retired chief of Dallas-Selfville Fire and Rescue. The ride began at the Hardee’s in Pinson. Close to 100 bikes were registered with approximately 150 riders. Guardians of Alabama joined the Regulators and other riders as they rode through Kimberly, Warrior, Hayden and Dodge City, ending in Hanceville. The Jefferson County Sheriff’s Office provided escorts. During the ride, Brittney’s friends and family assembled at Hanceville Fire and Rescue. Members of Dallas-Selfville joined Hanceville in organizing a barbecue and spaghetti lunch, raffle prizes, auction items and a 50/50 raffle. Brittney’s father and step-mom, Lee and Kristie Payne, arrived with several other family members. Dylan and Brittney graduated from Locust Fork High School in 2014. Classmates since kindergarten, they began dating their junior year. Dylan became a junior firefighter and Brittney started as a secretary at the fire department. Keith Daugherty sent an update saying, “The event raised $3,000 for Dylan and Mason." Donations can be sent to the Locust Fork branch of Peoples Bank of Alabama for Dylan Daugherty. The money raised will help pay for final expenses and to help Dylan and Mason.